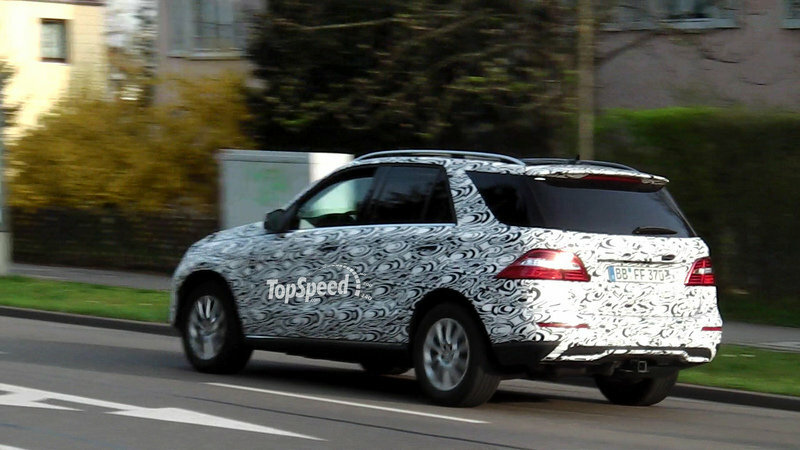 A new batch of spy shots of the 2015 Mercedes M-Class has found its way onto my desk, making these the fourth set of photos we’ve seen of the German SUV since the first batch arrived in early December. 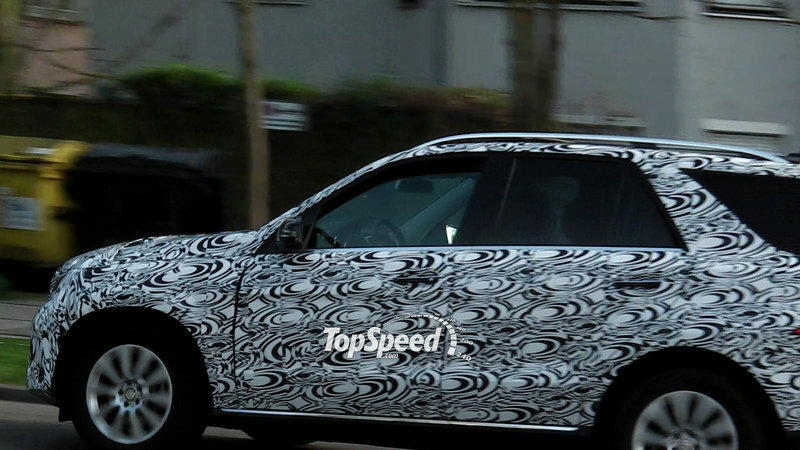 Compared to what we’ve seen, these photos of the M-Class come with an even deeper camouflage with pretty much every body panel covered in the hypnotic camo. But from what we’ve seen in the past, our initial notion that both the front and rear sections of the M-Class are going to be updated looks to be spot on. 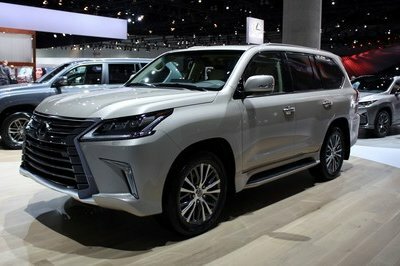 Since the current generation model was revealed in 2011 as a 2012 model, you can notice that the front end has a more elaborate grille setup with more accessible openings for the air to cool the engine. The main grille looks to have been split in half, possibly to create a unique space for the Silver Arrows logo. The headlights also appear to be more rectangular in design compared to the swept back almond look of its predecessor. As for the rear, it’s hard to make out any distinctive changes, given that the rear lights don’t look like they’ve been changed. 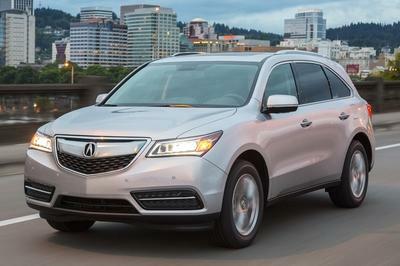 But a particularly interesting tweak are the twin-tailpipes that are now on the front passenger side of the SUV. Click past the jump to read more about the 2015 Mercedes-Benz ML-Class. 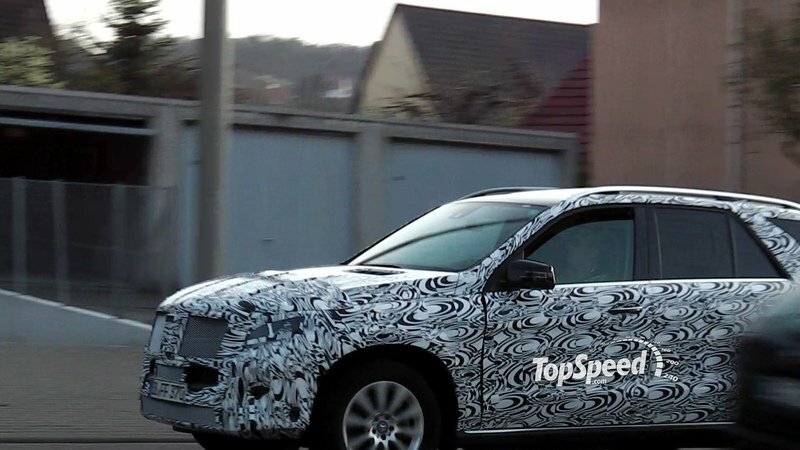 Judging from these spy photos, the 2015 M-Class’ modifications will be predominantly on the front and rear sections of the SUV. The interior is expected to get its upgrades, too, as we’ve mentioned in the past. Likewise, changes to the engine setup of also on tap, with a plug-in hybrid expected to debut under the hood of the M-Class. Fortunately, we won’t have to wait too long to see the revised M-Class. Expect it to be released later this year. In 2014, the M-Class received only a handful of revisions to help keep it fresh in the minds of buyers. 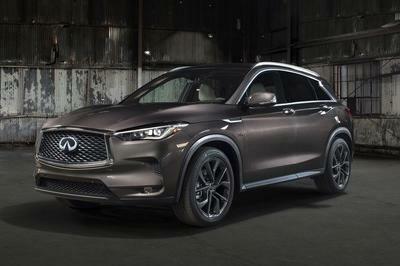 The most notable of these changes was the new Sport package that was available for the ML350. This package gave the lower-powered M-Class the look of an AMG without all the power and gas chugging. The 2014 M-Class is available in four packages. The aforementioned ML350 comes with a 3.5-liter V-6 with 302 horses and 273 pound-feet that zips it to 60 mph in 6.8 seconds with AWD. 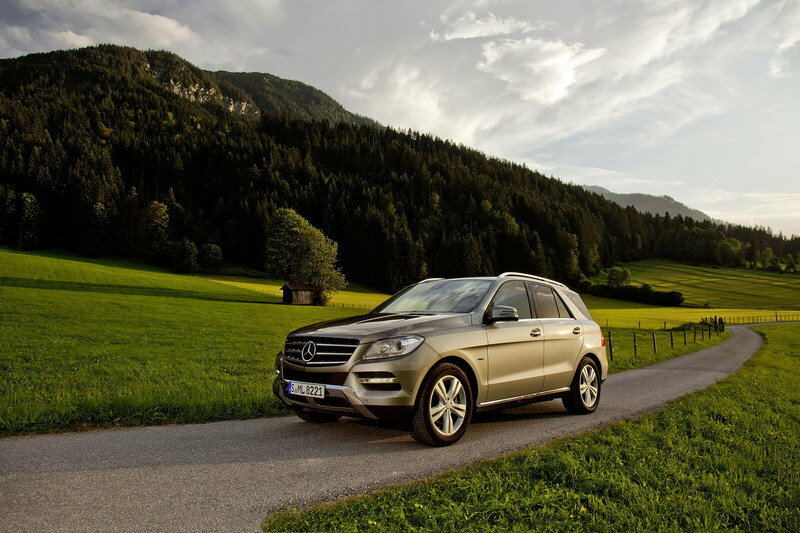 The ML350 Bluetec features a 3.0-liter oil-burner with 240 horsepower and 455 pound-feet of tire-shredding torque. This isn’t your typical rap-tap diesel either, as it ships the M-Class to 60 mpg in just 7.3 seconds. 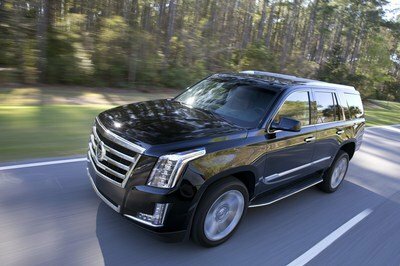 The ML550 and its 4.7-liter V-8 pumps out 402 horses and 443 pounds of twist to get the SUV to 60 mph in 5.3 ticks. 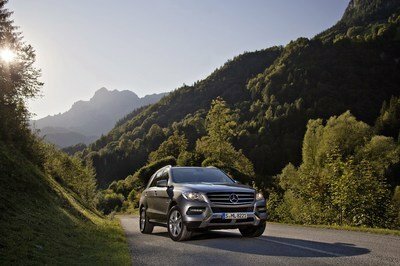 Lastly, the ML63 AMG and its 5.5-liter V-8 rockets the SUV to 60 in 4.7 seconds. The ML320 starts at $47,790, and prices soar all the way to $97,1250 for the ML63 AMG.